Edward Snowden speaks via video link during a news conference in New York City, U.S., Sept. 14, 2016. Former CIA agent Edward Snowden hopes that U.S. President Barack Obama will pardon him and allow him to return home. The American has lived in Russia for more than three years after fleeing his homeland, but still feels like a stranger and wants to go back to the States. Former CIA operative turned whistleblower Edward Snowden, who caused a global scandal when he leaked thousands of classified documents revealing the U.S. and UK's global system of eavesdropping on their own citizens, has been hiding in Russia since June 2013, but apparently still wants to return to the U.S.
"Ed Snowden has played it very straight," director Oliver Stone, whose biopic of the former CIA agent, Snowden, will receive its U.S. premiere on Sept. 16, said in an interview with The Huffington Post on Sept. 12. "He loves the United States, and wants to go back home." Snowden himself underlines that Russia for him is only a temporary refuge. In a Sept. 13 interview with British newspaper The Guardian the former agent expressed the hope that U.S. President Barack Obama will pardon him before he leaves the White House in January 2017. For now, what awaits Snowden back home are criminal proceedings and, most likely, a long prison term. In the interview Snowden reminded everyone that he came to Russia by chance – in June 2013 Moscow was a stopover on his journey to South America, where he planned to take refuge from the U.S. authorities. But the U.S. abruptly annulled his identification papers and he had no choice but to remain in Russia, which agreed to provide him with asylum. On Aug. 1, 2014 the former agent received a three-year residence permit. It is unknown exactly where Snowden is living. The mass media says that he lives either in Moscow or in the Moscow Region, but he has the possibility to travel throughout Russia. Speaking to The Nation in October 2014, Snowden mentioned that he had been in St. Petersburg and really liked it there. In Snowden's words, he is an "indoor cat" who is comfortable spending most of his time in his apartment working with his computer. He spends more of his time on the internet than anywhere else, he says. He continues speaking in English but knows Russian well enough to order something in a restaurant. The former CIA employee admits that he has consciously decided not to settle in Russia. Snowden also works on the internet. He makes a living by giving public lectures on the internet and developing mechanisms that help increase security for journalists on the net. His exile in Russia has not separated him from his friends and family: According to the mass media, his girlfriend Lindsay Mills moved to Russia in 2014 and lives with him. His father Lonnie Snowden has also been to Russia, back in October 2013. In September 2015 Snowden criticized the Kremlin's internet policy, saying that the Russian government is trying to control the net, as well as accusing Russia of the violation of sexual minorities' rights. "This drive that we see in the Russian government to control more and more the internet, [and] deciding what is the appropriate or inappropriate way for people to express their love [is] fundamentally wrong," he told The Guardian. The passing in July 2016 of anti-terrorist legislation (the so-called "Yarovaya Package"), which requires operators to preserve users' calls and messages and if necessary pass them to government organs, also disturbed the former spy. The Russian government is calm about Snowden's criticism. "He lives in Russia but that doesn’t mean something is imposed on him," said Russian presidential press secretary Dmitry Peskov, commenting on Snowden's statements. "There is a discussion and this is perfectly normal." 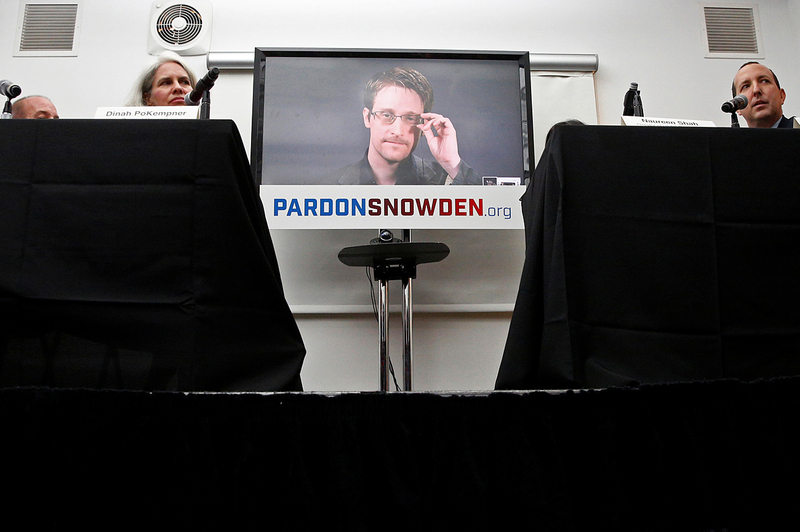 Yury Rogulev, director of the Franklin Roosevelt Foundation for U.S. Studies, doubts that Barack Obama will pardon Snowden and permit him to return to his homeland. "Obama did not like how Snowden wound up in Russia. I don't think he will suddenly change his mind," Rogulev told the Kommersant business daily. Thus Snowden's future remains unclear. In the words of his lawyer Anatoly Kuchereny, the former CIA agent has still not decided what he will do when his residence permit expires on Aug. 1, 2017. "Life is complex and multifaceted and no one knows what will happen," Interfax cites Kuchereny as saying.